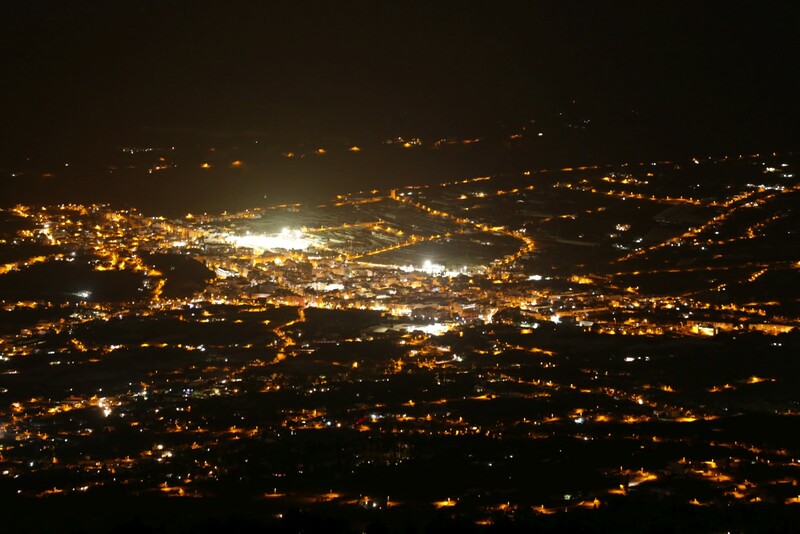 La Palma’s “Sky Law” requires public lighting to be directed downwards to avoid direct light scatter and skyglow. Most streetlights therefore have full cut-off housings. But some lights could be better, much better. 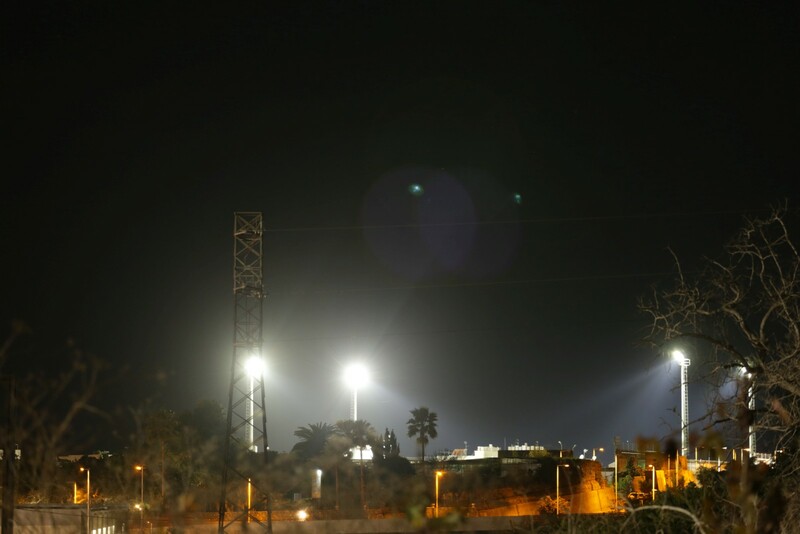 One bright example are floodlights, especially the ones used in Los Llanos’ municipal stadium. When active, the stadium lights create a significant amount of stray light. Especially when the air is humid or dusty, the skyglow caused by the floodlights, dominate light pollution over Los Llanos. I’m quite sure that their extra skyglow is measureable from the Roque de los Muchachos as well. Of course, these lights serve a purpose. Noone would ask to switch them off alltogether. Plus they are only switched on until about midnight. But that’s exactly the time when most touristic stargazing tours take place. And with just a simple adjustment direct stray light could be easily eliminated: Keep the lights downwards! Why should they illuminate the surrounding mountains and the night sky anyway? 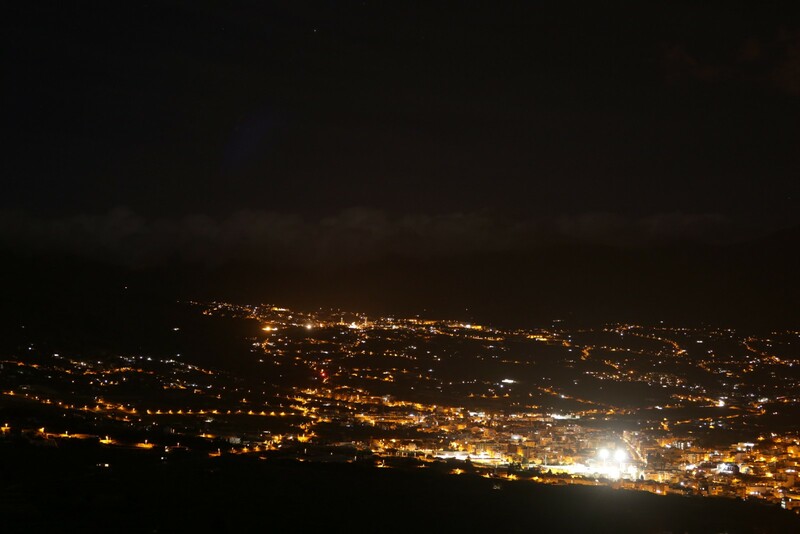 The stadium is the brightest single light polluter in central La Palma. Here it’s seen from Mirador Llano del Jable, at 1300m asl. Los Llanos and it’s stadium seen on the way to Mirador el Time, at around 400m asl. If the lights were properly shielded or directed to the ground, they wouldn’t be visible directly from this altitude.